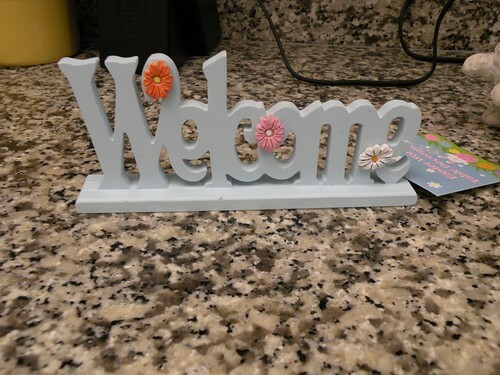 After I popped the flowers off the sign I didn’t want to just throw them away, but honestly they really aren’t that cute so I knew I’d never use them for any of *my* projects. 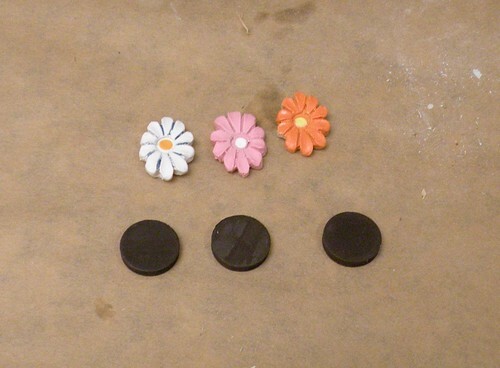 However, my 5-year-old daughter LOVES the flowers so I decided to take a few magnets and glue them to the backs. It was so easy and took me all of about 2 minutes from start to finish. And of course in typical 8-year-old-son fashion, he was jealous that she got magnets and he didn’t, so I pulled a few legos out of his bin and glued some magnets to the backs of them as well… just for him. And now both kids are pleased as pie. I love this idea. I banished all magnets to the backyard where the girls stick them on the (ugh) metal screen door we have yet to replace. I bet they would have a lot of creative fun if I made them magnets out of all of the little odds and ends we collect. I woulda thrown them away. I’m so uncreative it’s not even funny. Wish I could say differently, but I can’t. But, I can say that I love your header picture, deign, thingy. Very cute! LOVE these!! What a great idea for the magnets! Your blog is very inspiring! 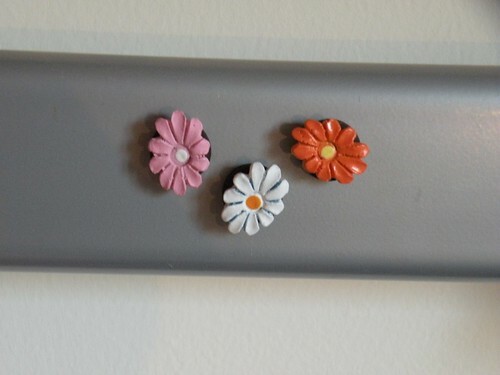 The flower magnets are so cute. 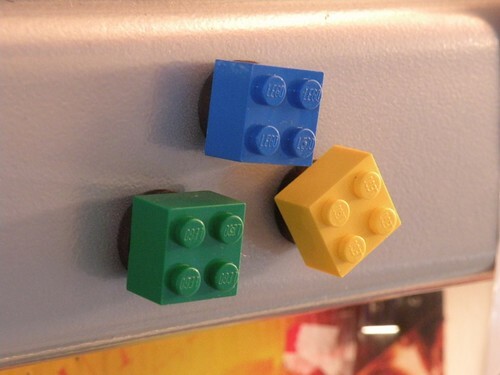 I like the lego magnets, too. That’s better than stepping on them on the floor! But my son saw yours and said, “your not doing that with ours!” lol Thanks for the ideas! What a great idea! Such a wonderful way to recycle what you already have…and keep the kiddos happy at the same time! Very creative and cool. I admire that you were able to do that. Visiting from SITS. Hope to see you soon at my place. ok, that actually DID look easy and fun! I could even do that – love it! I love the lego magnets. They would look cute on any refrigerator. Cute, cute, cute! I love it when inspiration strikes and you see things through a different set of eyes! well done, and so resourceful! Totally cute! The lego’s are so fun. Thanks for linking this up at the Bring In the Spring Party! Those are really neat ideas! So cute! I especially love the lego ones! But they are both adorable. I could see adding these to a magnet stip in their room to hold art, etc. Oh I am so making lego magnets. But I think I’ll make mine out of lego people! That will be so fun! Another great project. I’m loving yhis. Such a good way to recycle those cute flowers! So easy & how cute! Nice job! No freakin’ way?! 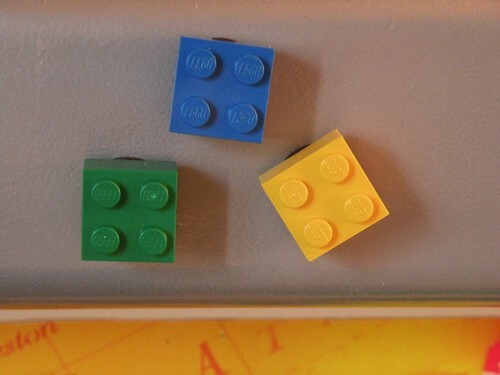 Magnets out of legos?! Cool! 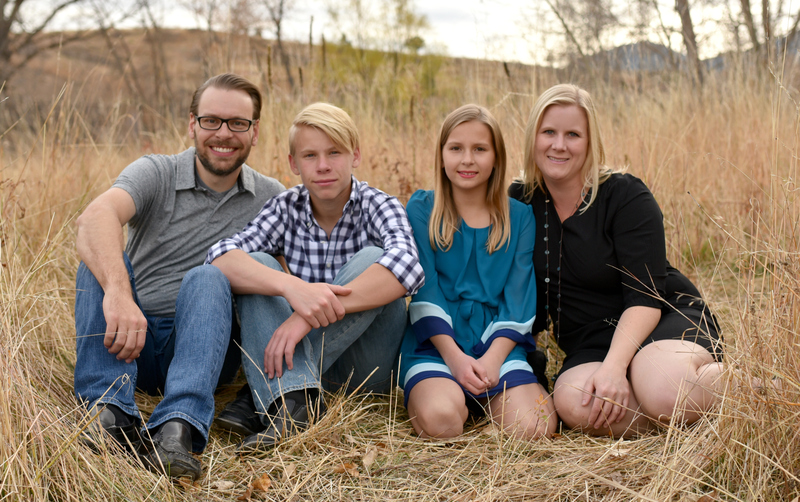 I have a boy and a girl, too, and it must always be “even Steven” in our house, too! 🙂 I really like the flower magnets, but those Lego magnets were my favorites. My son would play all day on my refrigerator if I made them. 🙂 Thanks for the great idea! Very cute–I love the legos! Thanks for sharing. 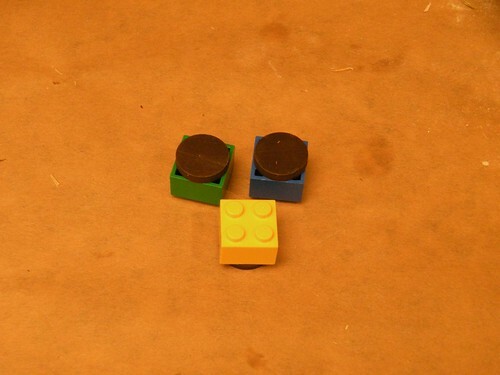 Lego magnets? So great! My son is going to LOVE this! Hey…anything lego is a winner in my book!! These are absolutely adorable..I just love the idea. That is a great idea to do in a kids themed room —thanks for posting. oooh! I love the idea of using “junk” 😛 Thank you for sharing this! I have a bunch of magnets and trinkets lying around the house so this is just perfect! Love the flower and Lego magnets! Great ideas – thanks! 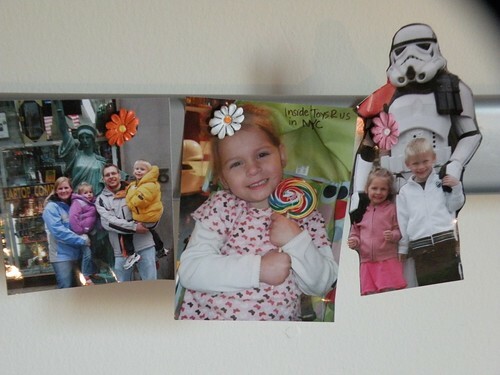 My kids LOVE magnets – they are usually strewn from one end of the house to the other! 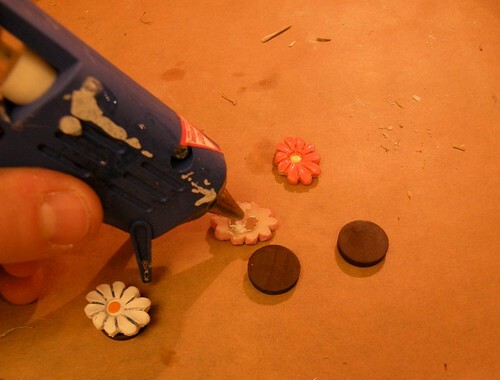 I’ll have to pick up some magnet pieces and make them some fun ones! I like easy and always have ‘junk’! Great idea! Oh hey, I featured this last week, too. 🙂 I have magnets left over from another project and plenty of hot glue sticks. You’ve inspired me!